Hear a recent interview of Dr. Anne Marie Marcellino, Chiropractor, when she appears as a guest speaker on HealthNews, a popular Internet radio show which airs weekly out of the Northeast. Click the photo link below to hear the interview! 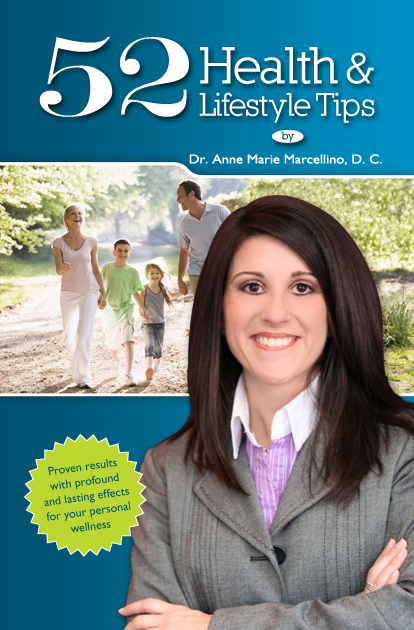 Packed with 52 great tips for improved health and lifestyle, you don’t have to read them all at once! Read one new tip each week, or print it and pin a tip each week to the fridge or mirror as a reminder. I’m sure you’ll find them valuable!